Thanks to the suggestion of Bertrand Lavédrine, Édouard became one of our Research Affiliates and today brings us some insights into his native city of Paris. 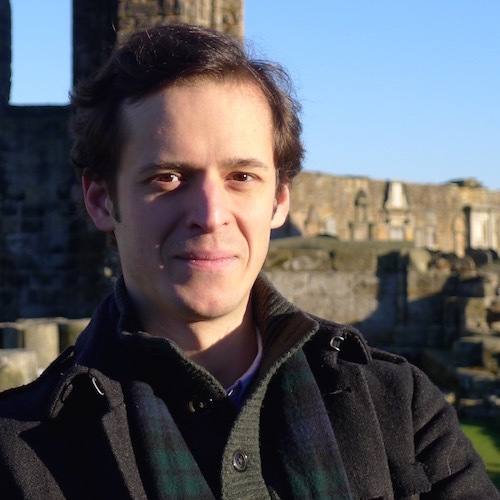 A PhD student at the universities of St Andrews (Scotland) and Le Havre (France), Édouard specializes in the history of 19th c. photography. 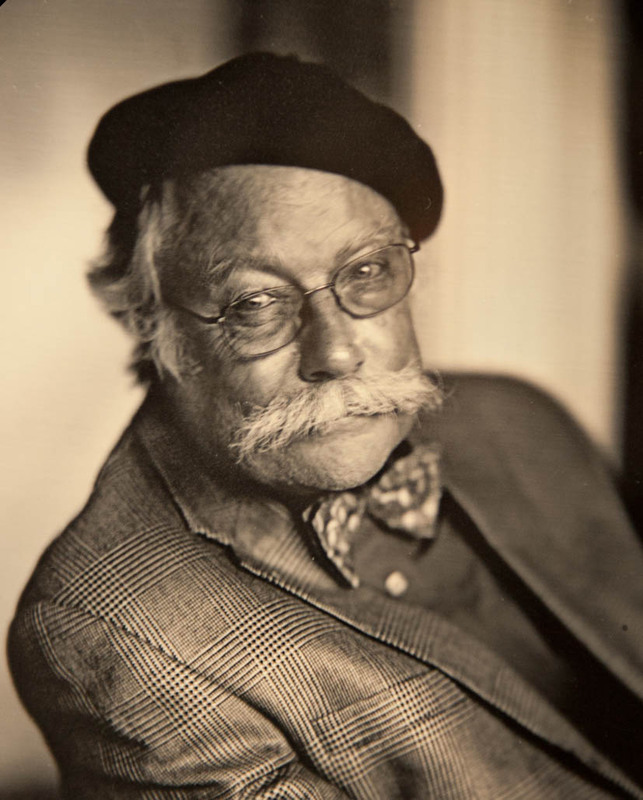 His research interests are unusually diverse, ranging from travel photography and album making to the rather more technical topic over which we first met – Edmond Becquerel’s 1848 colour photography process. Édouard is particularly interested in the uses of photography in colonial context, and his PhD thesis studies its place within the French colonial endeavour in Indochina in the 19th c.
We are bending the rules a little bit with the length of this blog, but it carries so much insight that I could not bring myself to drag out the red pencil. Enjoy! From 12 May until after 18 June 1843, Henry Talbot was in France with his assistant and servant, Nicolaas Henneman, right on the eve of when Henneman was to separate from Talbot’s employ and start his own photographic printing establishment. Even after this, the two men would continue to photograph together, especially in travels like this expedition to France. After spending a few days in Rouen, they set off for Paris, where they would teach the calotype process to several Frenchmen in a workshop on place du Carrousel. After Talbot’s departure for England, Henneman stayed in Paris until at least 10 July to complete the French artists’ teaching, as indicates a letter addressed to Talbot by one of the participants, the brother of Amélina Petit de Billier (Talbot’s family governess and friend). These aspiring calotypists had been selected by Hugues Antoine Joseph Eugène Maret, marquis de Bassano, a businessman whose family entertained close relations with Napoleonic aristocracy and the July Monarchy court. Bassano and Talbot had a commercial agreement that would help promote the calotype process in France and promised considerable financial gain to the inventor, who would receive 25% of all gross profits generated by the sale of calotype paper and positive prints. In exchange, Talbot ceded his French ten-year import patent, taken in August 1841. Bassano envisioned that the artists initiated into the process would photograph the major sites and monuments of France. Prints would then be made from their negatives in a Parisian workshop and sold to the French public. While he was in Paris, from 19 May to 13 June, Talbot stayed at the Hôtel de Douvres, at the southwest corner of rue de la Paix and boulevard des Capucines. It was destroyed in 1858, but if this hotel were still standing, it would be in the midst of traffic on place de l’Opéra. Talbot possibly stayed there again for a short time on his way back to England after a trip to Orléans, Chambord and Amboise around mid-June. In a letter to his mother, Lady Elisabeth Feilding, dated 22 May, he wrote that he had chosen the Hôtel de Douvres ‘on account of the view’, and then added: ‘my sitting room is circular.’ This comment not only reinforces the idea that Talbot planned to take photographs from his hotel room, but also signals that the panoramic view was important to him. Indeed, during his stay in Paris, at least twenty-one calotype negatives were made from the hotel’s windows, mostly from what appears to have been the fourth floor (probably from Talbot’s apartment) and the first floor. The photographs show the north side of boulevard des Capucines, the parallel rue Basse-du-Rempart, and the east side of rue de la Paix. This whole area would be torn down in 1858 to make way for a new opera house, its square and adjacent avenues. Put side by side, Talbot’s photographs span a wide area of almost 180° in angle. Although long exposure times prevented him from capturing the bustling crowd that thronged the boulevard, they retain many interesting details of Parisian life in the 1840s. 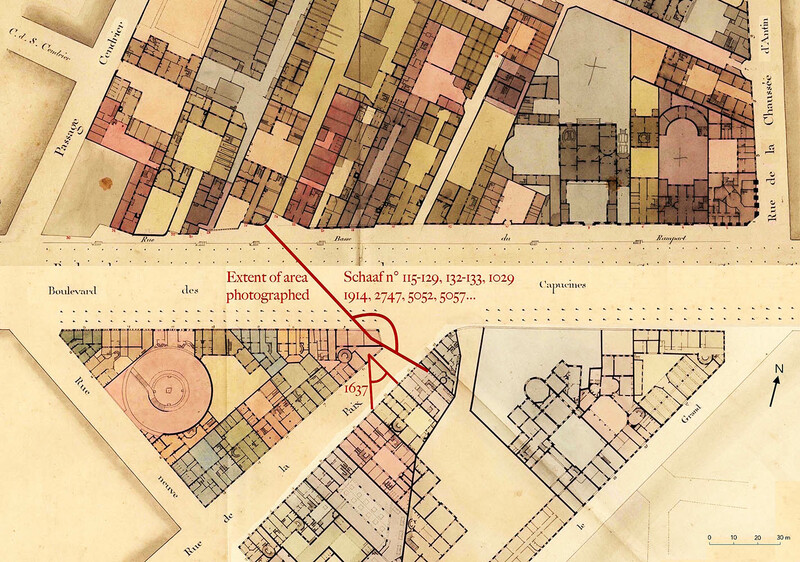 Because most of the photographs taken from the Hôtel de Douvres overlap each other, it is possible to digitally reconstruct a panorama of the boulevard from n° 24 rue Basse-du-Rempart (to the west) to the beginning of rue de la Chaussée d’Antin and boulevard des Italiens (to the east). This reconstruction is consistent with the Atlas Vasserot, a parcel map of the city drawn between 1810 and 1836, and available on the Archives de Paris website. Thanks to this archive, I was able to piece together a composite image allowing us to make more sense of Talbot’s photographs. The random position of most prints and the various vantage points used by Talbot show that he did not intend to create an extensive panorama of the boulevard. Nevertheless, they indicate that he did wish to represent it under all angles at different hours of the day. Although most prints join randomly, two sets of images exhibiting coherent proportions and junction points could have been conceived as panoramas. One of these associates a view of an imposing apartment block at n° 10 rue Basse-du-Rempart with what became plate II of The Pencil of Nature in 1844. The prints match in size and composition, their respective left and right margins only overlapping a bit. It seems Talbot was particularly interested in these two views, because several other negatives were taken from the same vantage point (Schaaf 115, 118-119, 121-123). A similar set of two negatives can also be found in the collection of the Musée des arts et métiers, in Paris. These would not make a satisfying panorama, as one image would be placed higher than the other, but the views were certainly connected in Talbot’s mind. As Larry pointed out in another blog post, the fact that he dated them in French on the back (‘1er juin 1843’) indicates that they could have been gifted as a pair to a French colleague. Talbot might have experimented with panoramic calotyping and considered this worth sharing. These sets also suggest that Talbot had started to consider that separate prints could be associated to span a wider field of view. An even more compelling group of pictures was probably created as a three-part panorama (Schaaf 124, 1914, 129). One clue leading to this conclusion is an inscription reading ‘LH’ on the bottom left corner of a print from this set. Larry has proposed that this addition might identify it as the ‘left hand’ print of a stereoscopic set. I agree with Larry’s interpretation of this mark as meaning ‘left hand’, but I believe it is the left-hand section of a panorama. This set was never identified as such because the central image only remains as a negative (Schaaf 1914). We may, in the future, discover a corresponding print. But for now it is easier to reconstruct this panorama with the original negatives. Although their respective right and left thirds overlap, these two (Schaaf 1914 and 124) are close to a perfect fit. Both are whole-plate negatives, respectively 15.6 and 16 cm in height. A third whole-plate negative is also a remarkably good fit (Schaaf 129), except that it does not overlap with the central section. It is slightly higher than the other two (16.7 cm) but the building’s proportions match perfectly. Put end to end, these three negatives show, from left to right, n° 14 (down the blind alley) to n° 24 rue Basse-du-Rempart, right across the boulevard from Talbot’s hotel. Considering that the upper sections of a lamppost and a colonne Rambuteau are visible, these negatives were probably exposed from the hotel’s first floor. Judging from the identical proportions of the buildings and the coherent perspective, they were probably made from the same window with the same apparatus (camera and lens). It also seems probable that Talbot exposed the negatives on the same day, one after the other, slightly rotating the camera each time. The overlapping irregularities indicate that this was an early try for Talbot and that he was merely experimenting with the idea of a photographic panorama, possibly encouraged by the wide field of view available from his sitting room. Whatever his reasons, Talbot was certainly inspired by the painted panorama, a popular form of entertainment in Europe since the late eighteenth century. In Paris, theses circular rooms exhibiting huge landscapes and cityscapes viewed from a central platform were often situated on the boulevard. In fact, there had been a panorama only four doors west of the Hôtel de Douvres between 1808 and 1825, as can be seen on the Atlas Vasserot. Talbot apparently enjoyed visiting panoramas himself, and did so on several occasions in England. His correspondence indicates that he saw a panorama of Venice in Devon in 1819, possibly one depicting the surroundings of Pompeii, on the London Strand in 1824, and one of Lima in Leicester Square, which he recommended to his mother in 1836. From 1825 to 1833, n° 7 boulevard des Capucines, at the southeast corner with rue de la Paix, had been home to Charles Delanglard’s Géorama. Although it belonged to the general trend for visual entertainment, it was the first of its kind. Designed by Pierre-Magloire Châtelain, the architect who had built Louis Daguerre’s Diorama three years earlier, the Géorama consisted of a very large world map painted on the inside of a translucent sphere 13 metres in diameter, in the centre of which was placed a platform for visitors to stand on. Applying the principles of the already popular planetarium to geography, the Géorama was met with considerable success among the general public. It also attracted the support of major scientific figures, such as Alexander von Humboldt, who observed that it facilitated comparative geography. If the Géorama was indeed a form of entertainment, it was also a scientific and pedagogic project, as geography lectures were given there. In 1825, Talbot was in Paris, working for several weeks at the city’s observatory with François Arago, and renewing his acquaintance with Alexander von Humboldt. It is possible that he visited the brand new Géorama on the occasion of a stroll along the boulevard. He might also have discussed it with Humboldt. This could have inspired him, later on, to apply a panoramic vision to the calotype. The idea would spread in his entourage, and later examples are to be found in the photographic production of Talbot’s inner circle, such as a two-part panorama promoting the various activities taking place at the Reading Establishment: art reproduction, portrait and calotype printing. From 1845, several calotype panoramas were also made by Talbot’s close friend Calvert Richard Jones. Having learned the process from the inventor himself, he could have discussed the idea with Talbot before creating his first sets of ‘panoramic joiners’. Jones would later invent a camera dedicated to this purpose, which he presented to the Photographic Society of London in 1853, but he was not the first to do so. The earliest known patent for a panoramic camera was granted on 16 June 1843 to the Austrian chemist Joseph Puchberger, along with the optician Wenzel Prokesh. The camera’s lens was placed on an axis so that it could rotate to cover an angle of 150° and expose a very large daguerreotype plate measuring 48.3 x 61 cm. One can only wonder at the synchronicity of this event with Talbot’s visit in France. A more successful panoramic camera was developed in Paris a year later by the German printmaker and photographer Friedrich von Martens. It was presented to the French Institute by François Arago in 1844 and patented in 1845. This time, the rotating lens exposed a semi-circular daguerreotype plate that had to be straightened later on. In 1843, the idea for panoramic photography was in the air. Considering the popular appeal of painted panoramas, it was only a matter of time before daguerreotype and calotype versions were created, although on a smaller scale. While in Paris, Talbot chose his hotel suite for its view over the boulevard, apparently planning to take photographs from its windows. 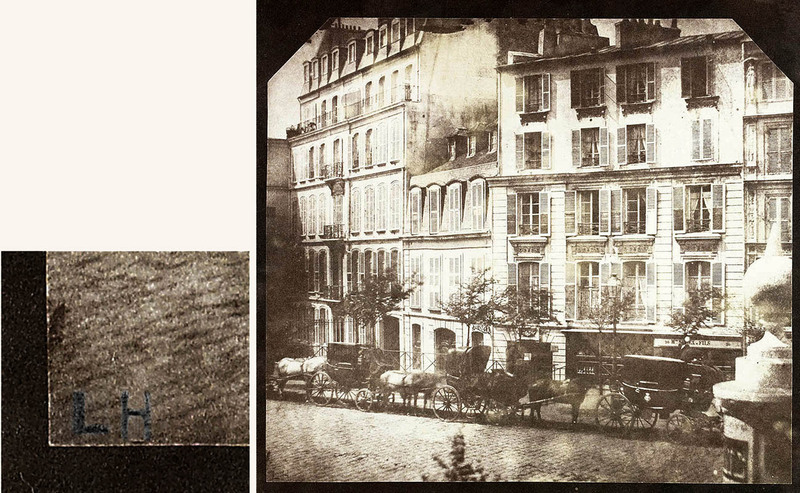 It is possible that he already intended to challenge Daguerre on his own terrain, whose 1838 daguerreotype showing boulevard du Temple had been discussed many times in the international press for its dazzling precision (more on this in a forthcoming blog post). Inspired by the painted panorama, and maybe the Géorama, Talbot used the Hôtel de Douvres as an urban observatory. Like an astronomer scrutinizing the universe through a telescope, he directed his camera’s lens towards what then was the beating heart of Paris. This scientific approach to observation enabled him to study, as suggested by Gail Buckland, ‘how light transforms the world, moment by moment’, but also to experiment with what would later become a popular form of photography: the panorama. • Questions or Comments? Édouard de Saint-Ours can be reached at e.desaintours@gmail.com He has kindly made available his background notes for his blogs as a downloadable pdf. • Please feel encouraged to contact Prof Schaaf directly at larry.schaaf@bodleian.ox.ac.uk • The standard reference on Talbot’s business relations with Bassano is Nancy Keeler’s “Inventors and Entrepreneurs,” History of Photography, v. 26, no. 1, Spring 2002, pp. 26-33. • In 1831, a British handbook already recommended the Hôtel de Douvres for its view over the boulevard: Edward Planta, A New Picture of Paris; or, The Stranger’s Guide to the French Metropolis (London: Samuel Leigh; Baldwin and Cradock, 1831), p. 88. • The discovery that most of Talbot’s photographs showing Parisian streets and boulevards depict the area surrounding the Hôtel de Douvres was inspired by an online note posted in 2013 by Laurent Gloaguen about a print from the National Gallery of Art collection in Washington (1997.97.4; Schaaf 129). • This composite image is derived from salted paper prints after calotype negatives made by WHFT from the Hôtel de Douvres in 1843. All are kept at the National Science And Media Museum, Bradford, 1937-2533/30, 1937-2387/3, 1937-2373, 1937-2372, 1937-2411/1, 1937-2533/11 & 1937-1292/1; Schaaf 124, 126, 5052, 1029, 129, 116 & 128. • This composite image was made using three parcel maps from the Atlas Vasserot (1810-1836): 3e quartier, Place Vendôme, îlots n°15, 17 and 18; Archives nationales, F/31/74/35, F/31/74/37 and F/31/74/38. • WHFT, Boulevards of Paris, salted paper print from a calotype negative , 1843, NSMeM, 1937-2533/11; Schaaf 116. • WHFT, View of the Boulevards at Paris, salted paper print, 1843, NSMeM, 1937-1292/1; Schaaf 128. • WHFT, The Boulevards of Paris, from the Hotel de Douvres, Rue de la paix, calotype negative, 1 June 1843, Musée des arts et métiers, Paris, 16540-4; Schaaf 5547. • WHFT, The Boulevards of Paris: Boulevard des Italiens, calotype negative, 1 June 1843, Musée des arts et métiers, Paris, 16540-3; Schaaf 5546. • WHFT, Boulevards of Paris, salt print from a calotype negative, 1843, NSMeM, 1937-2533/30; Schaaf 124. • WHFT, Boulevards of Paris, calotype negative, 1843, NSMeM, 1937-2376; Schaaf 1914. • WHFT, Boulevards of Paris, calotype negative, 1843, National Science And Media Museum, Bradford, 1937-2375; Schaaf 124. • WHFT, Boulevards of Paris, calotype negative, 1843, NSMeM, 1937-2371; Schaaf 129. • This image was obtained by digitally inverting the previous composition, and suppressing all colours. • The panorama created by James Thayer and Pierre Prévost at the corner of boulevard des Capucines and rue Neuve-Saint-Augustin is discussed at length in Bernard Comment’s The Panorama (London: Reaktion Books, 1999), p. 30-47. • Pierre-Magloire Châtelain, Géorama, architectural section drawing, patent taken on 31 March 1825, Archives de l’Institut national de la propriété industrielle, Courbevoie, file IBA1647. From Yann Rocher (ed. ), Globes: Architecture et sciences explorent le monde [exhibition catalogue] (Paris: Norma éditions; Cité de l’architecture et du patrimoine, 2017), p. 86. 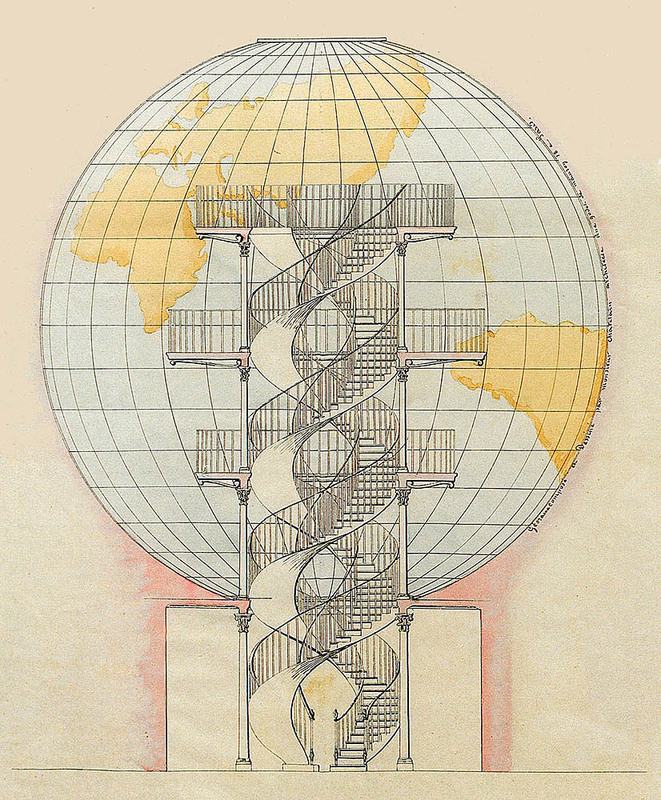 • Delanglard’s Géorama is discussed at length in the catalogue of a recent exhibition about architectural globes at the Cité de l’architecture et du patrimoine, in Paris. Yann Rocher (ed. ), Globes: Architecture et sciences explorent le monde [exh. cat.] (Paris: Norma éditions; Cité de l’architecture et du patrimoine, 2017), p. 78-81, 84-87. • About Talbot’s sojourn in Paris in 1825, see H. J. P. Arnold, William Henry Fox Talbot: Pioneer of Photography and Man of Science (London: Hutchinson Benham, 1977), p. 51. • Composite panorama courtesy of Hans P Kraus, Jr, Inc, New York. It was derived from Harold White’s prints, now in the Metropolitan Museum of Art, New York; Schaaf 1596 & 1597. 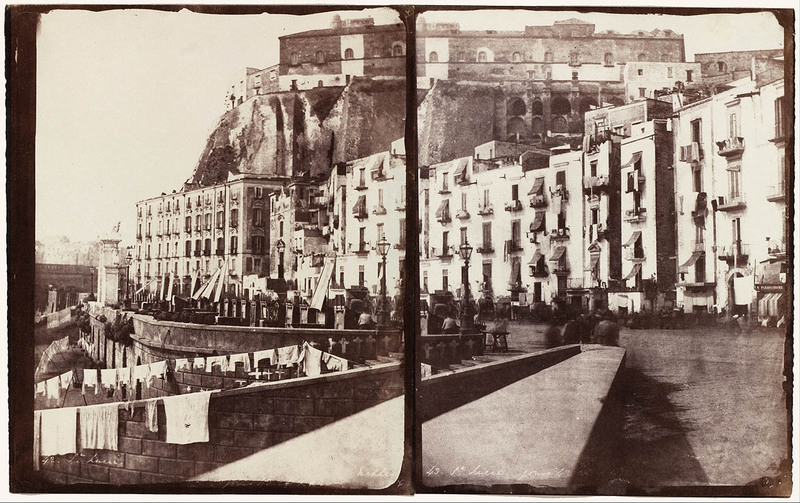 • Calvert Richard Jones, Santa Lucia, Naples, salted paper prints from paper negatives, 1845-46, 22.4 x 36.2 cm (overall), Metropolitan Museum of Art, New York, 2005.100.947a, b. • About Calvert Jones’s panoramic ‘joiners’, see Larry‘s Sun Pictures Catalogue Five: The Reverend Calvert R. Jones (New York: Hans P. Kraus, Jr, 1990), pp. 30–31 and 38–39. • More information about early panoramic cameras can be found in Maarten Vanvolsem’s The Art of Strip Photography: Making Still Images with a Moving Camera (Leuven: Leuven University Press, 2011), p. 11. • For an overview of Friedrich von Martens’s panoramic daguerreotypes, see Quentin Bajac and Dominique de Font-Réaulx (eds. ), Le daguerréotype français: Un objet photographique [exhibition catalogue.] (Paris: Réunion des musées nationaux, 2003). • Gail Buckland, Fox Talbot and the Invention of Photography (Boston: David R. Godine, 1980), p. 75.